You’re beholding the best of the best replica of the Jurassic World Fallen Kingdom Hoodie. Made from the finest cotton-polyester blend, you’ll have an amazing attire endeavor. 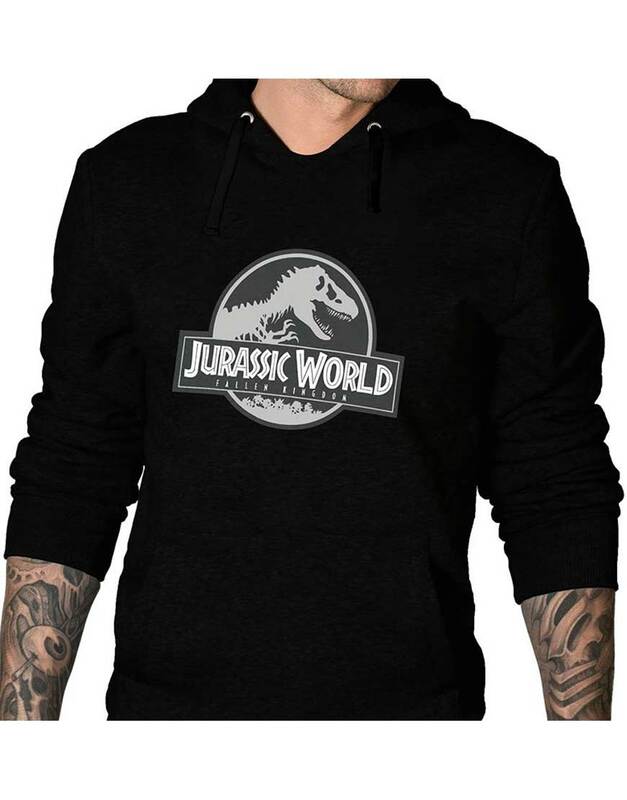 Guys, this is it, this is the thing you need to wear if you’re a fanatic of one of the biggest dinosaur film franchise ever created. Some specifications comprise an inner viscose lining, the black color is terrifically embossed over the surface, and a well face camouflaged hood collar is calculated over the top. 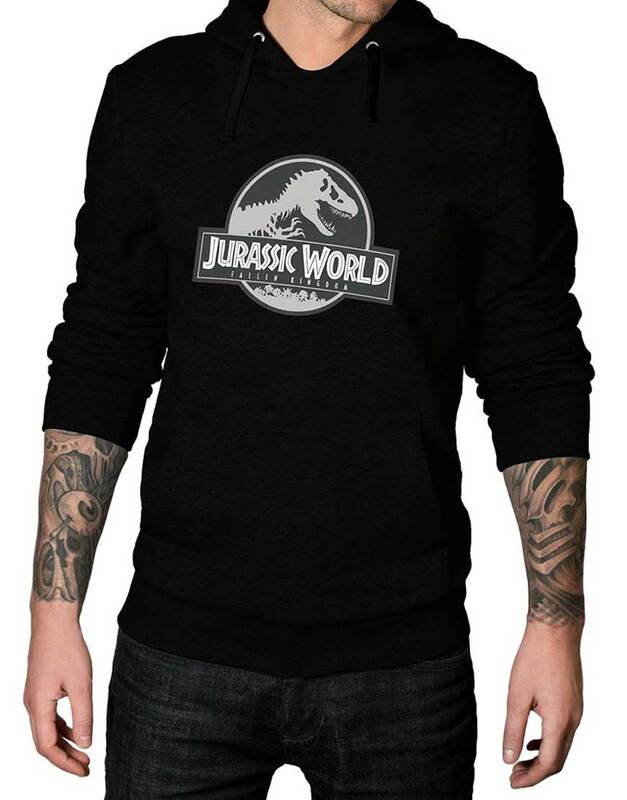 This Jurassic World Fallen Kingdom Black Hoodie is a very distinctive article, stamped with a comfy quality composure. Furthermore, rib-knitted alterations on the cuffs and hemline and side pockets let you keep your prerequisites safe and sound. Last but not the least, the Jurassic World Fallen Kingdom emblem on the chest attests this outfit credibly. A good pick if you’re a Jurassic World true fan. Legit!!! Awesome sauce this is. I really loved how cotton is given that damp soft touch with the trace of polyester. The special part is its construction, the suitability aspect is really dope. Not too loose nor too tight. Everything is topnotch. Loved it!! !